The new hub on the Turkish-Greek border could deliver Russian gas to Europe, but this will depend on negotiations with European countries, Russian President Vladimir Putin said at his annual press conference with media. "To a big extent, this depends on European countries. Whether they would like to have stable, absolutely guaranteed, risk free energy supply from Russia, which they need. It will be good if we get it working. Via Greece we can reach Macedonia, and on to Serbia, and then to Baumgartner in Austria. If they are not interested then we won’t do it,"he said. 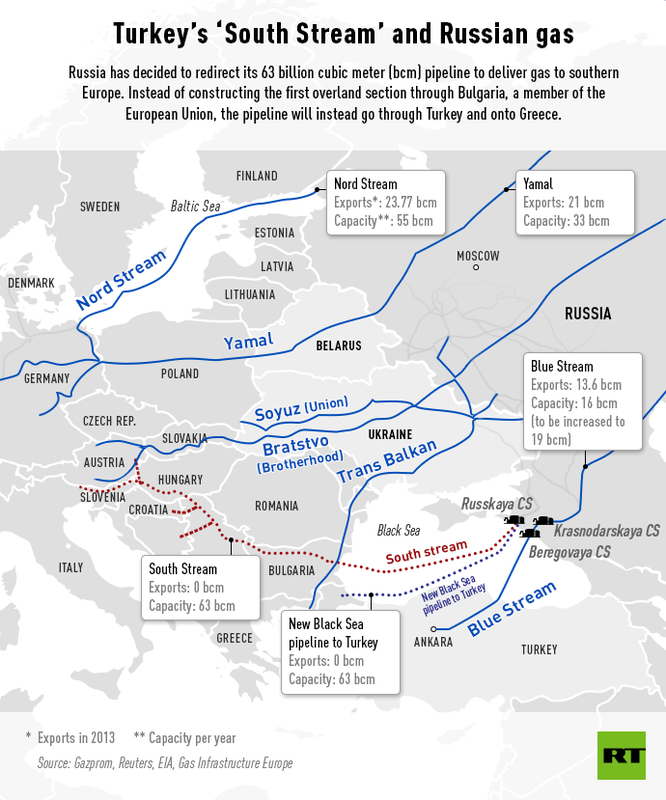 Russia was originally planning to build a pipeline to Southern Europe to directly export gas, but EU legislation was used to continually delay the project. On December 1 during a visit to Turkey, Putin announced the pipeline would run through Turkey to Greece, instead of Bulgaria as originally proposed. "There are no supplies, nor will there be any in near future, cheaper and more reliable than those from Russia," Putin said. Russia provides Europe with one third of their energy needs, and many countries with all of their supplies. "Bearing in mind that we have not yet received Bulgaria’s permission, we think Russia in such conditions cannot continue this project. I mean we are to begin the construction of the pipeline system in the Black Sea. We cannot begin the construction on the seabed section until we have Bulgaria's permission," Putin said. Russia cannot begin the construction of the seabed section and stop it at the Bulgarian coast. "It is absurd. I think it is obvious," he said, adding that Russia has been forced to revise its participation in the project. Gazprom CEO Aleksey Miller has confirmed that the South Stream project has been closed. It was planned to run under the Black Sea to Southern and Central Europe delivering gas to Bulgaria, Serbia, Hungary, Austria, Italy, and Slovenia. Now, Turkey is the new destination, and Europeans will have to transport the gas from the border on their own, according to Miller. 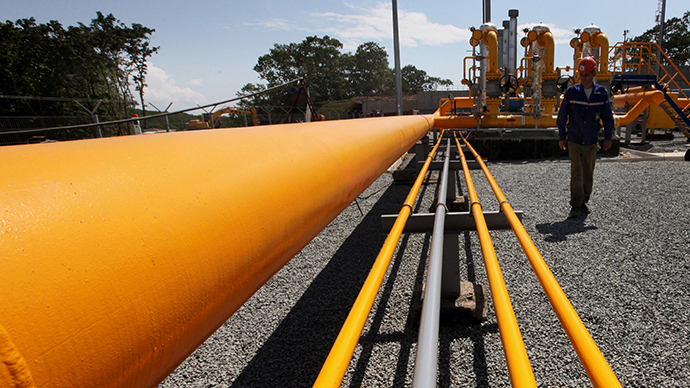 Turkey is Gazprom’s second-biggest customer in the region after Germany. Their natural gas partnership dates back to 1984.